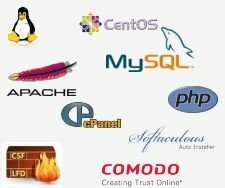 At GWS-Host.com, we want to be sure that your hosting experience with us will be a positive and pleasant one. However, we understand that sometimes things just don't work out, and that is why we offer a 30 day money back satisfaction guarantee on our shared hosting and reseller packages. A full refund for your hosting fee will be made within 24 hours to the Paypal Account or credit card you used for signing up, after receiving and verifying your account information. As specified in our Terms of Service, the above guarantee will be VOID if your account violates our policies. You should also make sure your files are backed up when you request for cancellation, as your account information and back-up files will be promptly deleted. The window of this guarantee ends exactly 30 days from the date from which you signed up. After your 30 days are up, you cannot receive refund for the remainder of your service, but you may still cancel your hosting account at any time. The money back guarantee is not valid if a site has been moved already to our servers or when external commercial purchased scripts have been licensed or SSL-Certificates have been provided.